Order worth Rs1,300 to be eligible for free shipping option AND a free gift! Earn up to 114 Points. TSIM’s Unlimited European SIM card covers all of Europe with a single UK number. Multi Local capability gets you local numbers in most countries. Local calls, calls to India, Incoming, SMS & 3G/4G Data are free. Outgoing is by direct dial. Validity is 30 days. Prepaid. 53 European countries in one SIM! Free incoming, local calls, SMS and 3G/4G Data! Multiple numbers on same SIM! All phones do not work in all countries, esp. on 4G networks. Enter phone model number below to have our helpdesk check your phones for compatibility for FREE! If you don’t have the model number, leave as much information as you can below, the helpdesk will assist you in finding the model number. If you have multiple phones, list them all separated by commas. Activation Date * Please select Activation date below. It can be modified later. Standard+micro and nano size SIM card available to fit all phones. We require a copy of your passport and visa. Fair usage policy on calls applies. Your phone should connect on a GSM/WCDMA/LTE network. Please also note, using this SIM card to surf Internet or make calls outside covered countries will significantly reduce the data and voice usage capacity, or even cause the SIM card to stop functioning. People anywhere in the world can dial your UK number directly to reach you, for example, +44774132 12345. People can also reach you on your additional local number. This is most useful for locals within the country in which you are currently located. For the purposes of this card, local calls include calls to any country mentioned under “Coverage”, from any country mentioned under “Coverage”. To make such calls use the full international format. E.g. to call a UK landline number from any country use (for example) +44 207 222 1234. TSIM’s customer service agents can be reached via email at services@tsim.in or phone +91 22 24216344. Should you use automatic or manual network selection? There are two ways of selecting a network. You can either set your handset to use AUTOMATIC Network selection or MANUAL selection. When using automatic selection the handset will look for all networks that it is able to attach to and logs onto the first network it finds. When using manual selection you must manually search through the networks and select a network to attach to. We recommend using automatic network selection. Please refer to your handset manual to check the default settings for your phone. c. Enter respective APN in APN Name (small letters & no spaces) and click install. e. Approve the installation of the unsigned profile. On some iPhone devices you will need to remove the existing current Profile (found in Settings-> General -> Profile -> Existing Profile -> Remove) before installing the New APN. I got one Europe SIM after reaching there I could not make calls as per suggested procedure. When contacted customer care I was asked to perform many steps. Nothing helped. I had to spent a lot of time with customer care through WhatsApp. Finally after 3-4 days of being in Europe, they realized that they had some issues at their end and they resolved it. After that did not have any issues w.r.t. calls. The Android App doesn’t work. We apologise for the trouble you had with the calling service to India. You had purchased one of the first few Economy 2GB SIMs and our techdesk was inexperienced with the new pack. Thank you for detailing your experiences and for your balanced review. Expect for a few Network issues, the NW was flawless in all the European countries that I traveled. I would definitely recommend the Economic Europe Only Card. Thank you for your review of our EU Economy SIM card. Amazing seevices and speed, it was worth using the sim and its services, worked amazingly well throught out Europe. No problems with data and calls conncetivity. Best option for travelling to Europe. There should be some option to have a permanent number also and recharge it everytime one goes abroad. Thank you for your kind words and suggestion. We are working on a scheme to be able to convert these SIM cards to permanent ones and should soon have the details ready. The Sim worked well while in Europe. The data was sufficient and the speed very pretty good during the entire travel period. I would definitely recommend this sim to everyone travelling abroad. The sim worked in all European countries as expected. I took the economy one and it normally gives 3G data speed in most places as reviewed by others as well. However, speed was enough for regular use and for whatsapp calls even. It was patchy as expected when crossing countries on road. Overall, this is a great travel sim to use. Thank you for your kind words and detailed review. Good experience with MiA2. We used the sim in Frankfurt, Berlin, Munich, Prague, Zurich, Venice, Florence ,and Rome. Had data problem in Florence. Thank you for your review and for confirming the areas in which you used the card. We apologise for the trouble in Florence. I bought the EU-only 15-days Economy SIM. It started working from the moment I landed in Paris. It worked just fine in other cities too: Stuttgart, Munich, Budapest, Berlin, Amsterdam. I got 12 GB of 3G data, and I consumed only about 6 GB of it in 13 days . Sometimes inside of some stores and malls in Stuttgart, despite the 100% signal strength and the available 3G+/H+, the internet wasn’t working. Probably, the partner network in Stuttgart needs to do some work. (I don’t remember if it was O2 – DE or some other). P.S.- The economy SIM works only on 3G+/H+, it does not go on to 4G/LTE. But 3G+ was good enough for WhatsApp calls and Google Maps and also, occasional Instagram (uploads did take a little while though). Advice for TSIM: If possible, you should come up with a cheaper plan offering about 5 GB of data in the EU-economy SIM as most people will not even need 12 GB. About the travel adapter: it worked flawlessly. Just that it was loose for the power sockets in ICE trains and kept falling out due to the not-centered location and absence of locking mechanism for EU pins. Thank you for your detailed feedback and for confirming the cities in which it worked. 1. It is true that the economy SIM card gives just 3G speed in many cities. 2. Your suggestion for a cheaper plan with 5GB Data has been forwarded to the purchases manager. Thank you. 3. The travel adaptor is a bit heavy due to the multiple pins it has. Lighter adaptors do not meet quality & price standards, however we are on the lookout for the same. The card was for 125 mins in Hungary and unlimited in Germany. Although I did not face any issues with range or internet speed, I did not get the promised talk time in Hungary. It was barely 50 mins and I have all the call recordings to prove it. When you try to call the helpline for balance, there is no answer. This was something unexpected and since I had to make calls, I ultimately wound up activating my international roaming pack from my home network provider(which I did not want to in the first place and my prime reason to take a T sim) from whom I received as promised. I would definitely not use T sim again and wouldn’t recommend it to anyone either. Your SIM card ran into an error condition due to which it was unable to provide you the complete talk time. We are making changes to ensure this does not repeat. We will be in touch with you for a refund. Thank you for taking the time to share your experience with us and we apologise for the inconvenience. This is a rare error and we request you to allow us another chance in your future travel. Horrible after support. They couldn’t fix it and kept postponing the resolution. Especially when your stuck abroad and feel so helpless without a phone. Please improve your support. We have initiated a refund for your purchase and are investigating why this happened. We apologise for the inconvenience. Good Service . GOT affordable and flexible packand also uninterrupted coverage throughout my europe trip . Happy for your service . Giving 2 stars just because it worked in Brussels and Frankfurt, that also at 3G. IT DOESN’T WORK IN ICELAND. No 3G, No 4G in Iceland. It just shows signal. But you can’t even send WhatsApp message. Forget about anything else. Luckily I had WiFi router in my rental car, which worked excellent across Iceland. So, if you are going to Iceland, please stat away from this SIM card. My bad luck that I bought 2 SIM cards from TSIM. And both didn’t work in Iceland. We apologise for the trouble you had in Iceland. 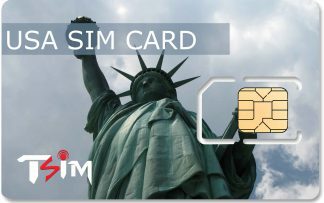 A number of our customers have used this SIM card successfully in Iceland. We are investigating the specifics of your case along with the network operator to see why it did not work in your case. Worked wonderfully well in all the countries I have traveled in Europe. Only negative is the indirect calling, but that is a small issue.. Thank you for your kind words. The indirect calling for India is no doubt a negative in the economy card. The sim was working perfectly fine when I reached to Spain. I had a good experience with the calling and internet. The internet was working good and the speed was also fast for first 150MB (that is more than enough if you are using it only to find directions). If you are using the android phone, then make sure you turn on the ‘connect to data while roaming’ feature, otherwise it will not work. When you insert the SIM in the mobile, it shows ‘Ultra roaming’ on network bar. The only thing I didn’t like is that there is no full description of the sim. It was not written anywhere that there will be reduction of two minutes for one minute if we call local numbers. And SMS will also be reduced as minutes. They called me after I purchased the SIM and then they told me about this. But for international calling it was excellent. The voice was clear. Anyway, it was an outstanding experience with TSIM. Thank you for your detailed and balanced review. 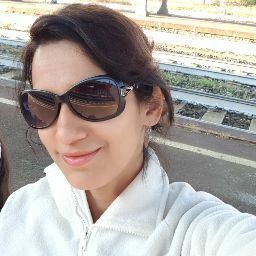 travelled to paris with unlimited speed..worked fine the first day..
and the network suddenly got barred or blocked from the next day..
inspite of repeated calls msgs mails all to no avail ..
on threatening them with a legal suit i was promised a refund..again which i have not received as yet..been more than 20 days..
please do not buy any of thei products as their cheats and you will land in a foreign country being helpless. We are sorry our product did not work out for you. Some combinations of network, phone and location do not work as designed, and there was too little time to correspond with the operator. Your refund had been processed by the time you had written this review. Thank you for taking the time to bring your experience to our website. The SIM card had some issue that it did not receive calls from Indian number. However, I could make calls to both Indian and International numbers and also receive calls from international numbers. We have checked your call logs, there is only one call attempt delivered to our network from India. We are unable to comment on why the calls did not reach our network. Please note calls can be received on both the temporary local number as well as the UK number sent to you with the SIM. We apologise for the inconvenience. Excellent service in Paris… In Stockholm, internet connectivity disappeared now and then… But on the whole, good service. Thank you for your kind words and balanced review. We took a 30 days EU plan for a trip to Scandinavia (Iceland). Best thing is, just insert the SIM just after landed over there and it gonna activated and started working. I have used mobile data when we went for a trip where no WIFI is available and it works nicely. 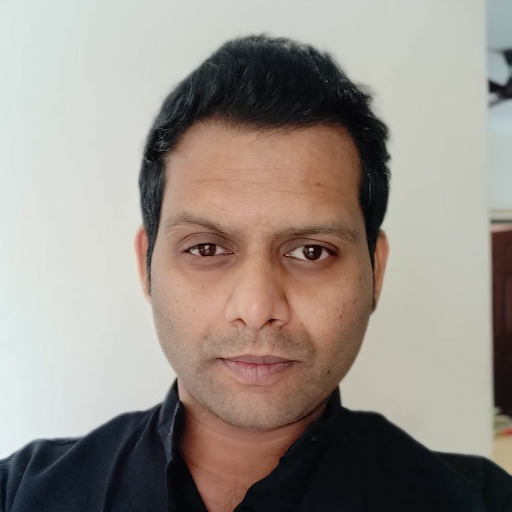 Boring part is, to call india, we need to dial fixed number first, after automated response, we need to type whole bumber with country code (copy-paste does not works in dialer) and wait for few seconds to connect to it; but after connects, it works smoothly! Over all, It is a worth to have TSIM. It is true that the Economy card has an inconvenient method of calling India. If calling India is an important requirement we recommend the non-Economy version of the SIM card. Thank you for your kind words and balanced review. We took a 30 days EU plan for a trip to Scandinavia (Denmark, Norway and Sweden) The 3,000 minutes local calling was as good as unlimited and we didn’t use even half the 12 GB allotted. But the best part was how easy it was. Just landed, inserted SIM in the One Plus 6 phone and it started without any issues and worked throughout the trip even when crossing all the countries. We didn’t get a local number but a UK number but for us incoming was more on WhatsApp and not a GSM phone call as such. The 4G was nearly everywhere except a cruise and some remote locations where it fell back to 3G or Edge but 95% of the trip it was on 4G. Overall we were very happy and had no issues at all and would be happy to recommend this to others. This was my second Europe trip and the best one. TSIM data service was extremely useful.I used it extensively for accessing Google maps and calling India.. Thank you for your kind words and continued support. Had issues with activation. So had some problems in germany. But Tsim solved the issue in the evening. But the sim was excellent and got service even in switzerland. The data quality was good but the call was delayed by 3 seconds. 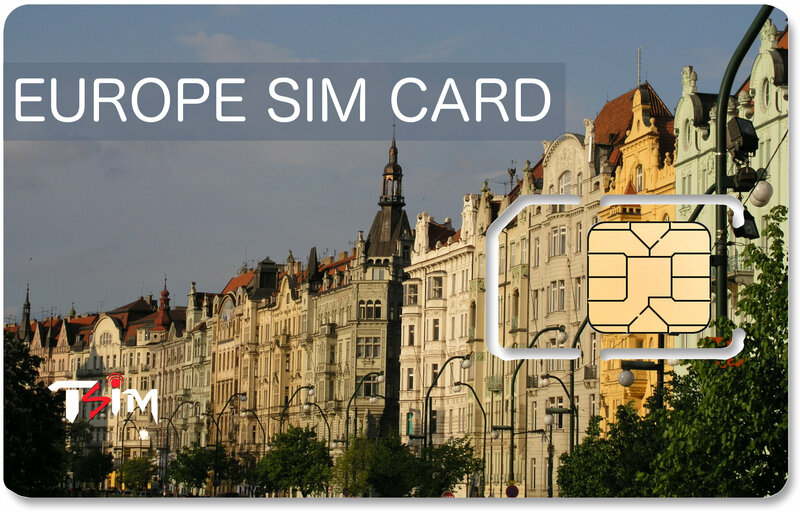 If your visiting multiple counties, then this sim is the best choice available in the market. Thank you for your review and understanding. We regret the issue you faced with activation. What makes TSIM team excellent is their prompt action and courtesy to take responsibilities. We were in a hurry for Europe and was in need of mobile data for Macedonia and Montenegro. Thank you for the kind words for our team. Card worked really well for most of the trip. We visited 8 countries and it worked in all of them except for Bosnia, which is not on the list. I would request them to add this to the list as well since neighboring countries like Montenegro and Serbia are covered. The only issue I had was when I was in Dubrovnik in Croatia. Mobile data was either not working or was extremely slow. I also did not receive any local numbers during my entire trip. Not sure if anything special needs to be done to get the local numbers, but we didn’t really need it, so it was fine. Thank you for your kind words and for detailing the countries in which it worked. The EU only economy card does not get allocated local numbers. I am been using TSIM for the last 3 years and it’s very convienent and conectivity too is good. I did face some problems but the customer service team of ARCHANA & ALISHA is worth Thanking as they are very prompt & helpful at any given time. It’s been little expensive but it’s worth value for money as I am using Lifetime Refundable Europe SIM card. Good Luck and keep it up ! Thank you for the kind words for our staff and for your continued support. Thank you for your kind words and for detailing the countries in which it worked. Thanks also for the suggestions. The EU only economy card does not get allocated local numbers. The Europe SIM card worked quite well, both in Spain and Portugal. For the data, do note that `Data roaming’ option needs to be switched on. The given UK number worked (for incoming from India), though local numbers came on entry at different countries, I am not sure whether they worked. Nevertheless, I was able to call India as well as the local telephone numbers using the SIM. As data worked quite well, connecting via data was not an issue. I had bought 2 sims it for 14 days for paris and switzerland,the data worked well after we called your customer care and they rectified it.But i couldnt receive or call any india numbers ( as others from the group had activated international calling on Indian numbers)The only calls i could place were to the other tsim number. We are sorry the calling did not work for you. When we called you the call connected immediately, hence the helpdesk took no further action. We will be in touch with you for further action and thank you for your balanced review. I used the card for 2 weeks in Central Europe. It worked very well for local as well as India calls. Data connectivity was also very good. No complaints at all. Thank you for your kind words and review. The TSIM service was the best we could have asked for. Not only were we able to get registered easily in different countries and place calls but we even received regular updates from TSIM about our current number and pending minutes of talktime. Super fast internet, always full 4G data, great network coverage and timely sms updates of rates for countries not covered in package. Easy calling app and direct calling and ample of data n minutes. No Hassel setup and use. Thank you for your detailed review and kind words. The sim card worked very well for the data but it was not possible to make / receive any voice calls and text messages. Very useful as a data sim card! We are looking into the specifics of your case to see why you were unable to make calls. Thank you for bringing this to our notice. It’s a good card. In all aspects the functionality was good. No problems except one. Calling India. The roundabout way which is configured for calling India is not helping at all. Otherwise this card is good for Europe. Satisfied. It is true the Economy Europe Card is not convenient to call India. However, it does give the best data experience and works well for calling locally. If calling India is the more important feature, we recommend the non-economy versions of this card. Thank your for your review. I used TSIM for my trip to Italy (used it in cities: Milan and then Trieste). There was a good reception and the internet also worked well. There was no problem making local or international calls using the SIM. Thanks for your review with details of the locations used in. I used the unlimited europe sim option for 15 days. I am extremely satisfied with the service. My trip started in London, on to paris belgium, amsterdam, germany, austria and italy. The phone and data worked seamlessly. If a small glitch did come with the data it was immediately rectified by the service centre. Moin was available on call throughout offering his support. Very happy and will definitely be using their services again for my future trips. The sim was activated only after one day, after an email complaint was made, though the dates of activation was mentioned by me while purchasing. The web calling app was useless as it would work only if internet is on. As a result, every call had to be made through the UK access center which made calling a cumbersome affair. Connecivity was fair but audio quality needs improvement. Thank you for your review. We regret the inconvenience caused due to the non activation of the SIM. Data worked fine. Initially the service was not activated until we contacted someone using free wifi from the airport. Took them a day to figure that out. Outgoing calls to India were unsuccessful. The two number dialing process is tedious and didn’t work. I will not use this service again. I had better service with another company. We apologise for the confusion regarding your SIM activation. It is true the 2 stage dialing for India in the economy card is less convenient and takes getting used to. But once a customer gets the hang of it, we find that usage of the feature is very high. Also, where possible we recommend WhatsApp calling to India. We are sorry we did not meet your expectations in this trip. I traveled with this in Italy,Switzerland,Germany,Prague and Austria. Never faced an issue .Speed is also good . The adapter I received along with the SIM was really useful and of very good quality. It really helped us to charge multiple phones.Love it. Thanks for your review as also for confirming the locations. It was a good experience , using TSIM. I travelled to eight countries and the SIM worked flawlessly. At times it was required to be switched off and on while changing countries, however I suppose that is normal. Thanks you for your review. Yes, it is always advisable to restart the phone while crossing international telecom borders. It was very good experience using TSim. Only thing to rectify is that after talking for 20 mins at stretch, phone gets automatically disconnected. We used it for Denmark, Norway & Sweden(Scandinavian Countries). Thank you for your kind words. We will investigate this issue of disconnection. Very satisfied. Worked all the time, even on the Rhine cruise. It was hassle free, the car d got activated as soon as we landed. Found it very useful and cost effective especially for holidays where u don’t need to take calls on your regular number. We are sorry the India calling on your economy card did not work at first. We have improved our setup procedure to avoid such problems. Thank you for bringing this to our notice. The data use quality was good. My experience with the voice quality for calls on landlines or the mobile networks was not good (interrupted voice) for my travel in Spain and Sweden. WhatsApp gave better quality. The quality of voice was superior for the TSIM services I used for my travel in USA on an earlier occasion. We are sorry for the trouble you had with calling. We have attempted to find the cause for poor quality with the operator but are unable to get a satisfactory response. We thank you for your understanding. I have purchased TSIM unlimited Europe plan for my 7 day trip to France and Switzerland. TSIM did the great job and it really worth for the money i got it. I didn’t face any connectivity issue in any of the place in europe. Good signal strength and internet connectivity. Also they allocated France and Switzerland number for me. Terrible experience. I could make calls and send SMS. 1. Could not receive any call. Whoever tried my number could not get through. 2. Could not receive any SMS. I was able to send but nobody was able to reply. 3. Constantly bad network. I had to reboot multiple times. 4.Data connection was even worse. Did not work almost through the trip. Will not recommend to anyone. We apologise for the inconvenience faced by you. Unfortunately the phone you used was not compatible with 4G and had just one band of 3G. It is to avoid such situations that we request customers to select “check my phone”, so that our helpdesk can assist you in phone compatibility with networks in countries you intend to visit. Thank you for taking the time to share your feedback. It worked well through out our trip. We used it in France, Greece & Netherlands. Apart from a couple of times when we had to restart our mobiles to pick up network, it worked well. I would totally recommend it for Europe. I was a bit skeptical initially but I ain’t any more. Customer service is also pretty quick. Thank you for your kind words and for specifying countries in which it worked. Outgoing calls and 4G data worked exceptionally well in France and Switzerland. Only problem was they didn’t allot a Swiss number so I could not get incoming calls. Incoming is always available on the UK number you are provided with each SIM card. Any local numbers are an additional number on which to receive calls. Thank you for taking the time to review the product and for your kind words. Just awesome service. Worked very nicely. TSIM SIM was very useful for our entire trip. We travelled to the UK, France, Germany and Switzerland and SIM was working all the time. We received a local number of the country travelled. Un interrupted Data services were also available all the time. This is highly recommended to all the travellers. Thank you for your kind words and for detailing the countries in which it worked. TSIM unlimited Europe SIM Card was very useful during our trip to Spain and Italy. It even worked in Istanbul (our flight got diverted due to weather and TSIM worked there as well) ! It was a big relief. As soon as we landed, we got Spain local number and that was helpful in booking in restaurants as they asked for local number. However, no local number was received in Italy. But that didn’t create any problem for us. We could use GPS throughout our journey of two weeks. Would use TSIM again when we visit Europe next. Would highly recommend all overseas travellers to use TSIM. Thank you for your kind words and detailed review. We are unable to provide Italy numbers due to local regulations recently put in place there. Well i would like to thanks the whole TSIM team for there brilliant service. 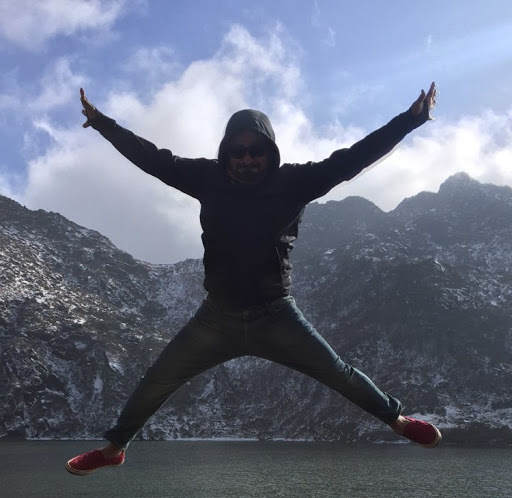 It was flawless and uninterrupted service; Every country i visited, i had good connectivity and Data was perfect 3G/4G. I never founded any issue while i was on the go as well. Initially i was very much uncertain to buy TSIM service, But one of my friend had used this service he recommend me this and i was totally SOLD!! 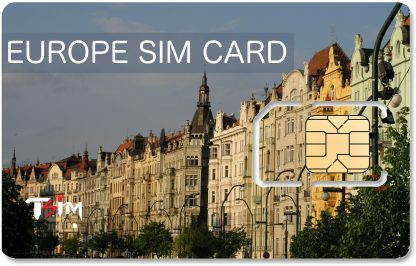 I used this “Unlimited Europe SIM Card” and i hope if anyone is looking for international sim card for travel this is the place to be! Thank you for your glowing review. Such kind words make our work enjoyable. I used this in Italy. I went for local Italian number option which did actually show up whenever I called anyone locally. The calls to local numbers and also to India worked fine.The data coverage was excellent. I did a 14 day road trip through Italy and I used Google Maps GPS throughout with this SIM. Per day usage was hardly 25 MB of the 250 MB limit provided per day. I received the SIM within two days after ordering. Completely satisfied with the service and would recommend it. Thank you for your detailed review and recommendation. Nothing great to boast of. [Reference to trademarks edited]. Tsim customer service also needs a revamp and training. At the start after many attempts to find some aid on the call centre one advisor atlast came to our aid to set things right. Meanwhile i had to use the hotel wifi. Stress and discomfort needs to be eliminated for being outstanding. Otherwise tsim is as mediocre as other network companies. There are errors to amend. First start in sales dept. with a good attitude. We apologise for the inconvenience and appreciate the effort you have taken to bring these issues to our notice. I used it in Brussels-Belgium, Frankfurt-Germany and all around Iceland (Ringroad). Good coverage except for some remote areas in Iceland. it worked excellent. Thank you for your kind words and for confirming the exact areas where the SIM card worked. The SIM is good to use. But the customer service is the worst ever service. They initially, by mistake recharged more amount to my sim and told me that is my balance. Then they suddenly deducted a big amount telling me it was mistakenly recharged. So I had a great trouble abroad. They took extra charge for express delivery, but they delivered me at the last moment at the airport. They took 150 rupees for checking my mobile, but I didn’t receive any call. They did not refund that amount also. Some of their customer support staffs are really ignorant. I am happy with the call quality and all, but due to the service I will try not to go with tsim in future. We apologise for the inexcusable confusion in handling your order. We are processing refunds on shipping and check-my-phone. We are also sending you a coupon towards future purchases and appeal to you to give us another chance to serve you. Thank you for taking the time to bring this to our notice. It will help us improve our systems. While the concept is good of using a single SIM, only when it works… on several occasions the SIM card was not recognised and this was completely random (not while travelling between countries). You could wake up one morning and find an error message, which left you high and dry! The customer service leaves a lot to be desired, never respond promptly, always have the same response.. checking with our technical team! We apologise for the inconvenience faced by you. We will check to see what has caused the issue in your case. Thank you for taking the time to leave feedback. I was on a 15 day trip to Europe through Poland, Austria, Czech Republic, Netherlands and UK. The SIM worked perfectly fine throughout the journey and I am very happy with the kind of service they provided. There was this one time where I was unable to my 4G LTE internet work, so I contacted their support team. The support team handled the issue with great deal of importance they assured me that I would soon be able to connect to the internet. They helped me with the steps to change the network settings etc, and my internet worked again without any issues thereafter. I would really appreciate their support team and the overall service quality of TSIM throughout the trip! Thanks a lot! Thank you for your kind words and understanding. We are sorry for the trouble you had with enabling 4G. 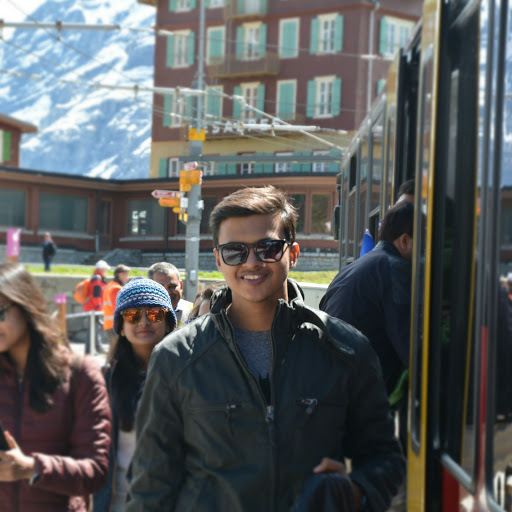 I used TSIM as a provider for travel through Europe as i did a road trip from Italy, france and germany. My sim did not start immediately on inserting, and had to reinsert a couple of times . My calls and sms worked fine, only data was erratic as some days i wouldnt receive any data and had to rely on local wi fi. The data package I had was for 250 MB per day on 3G, but i never used it upto limit due to this nor did i use even 10% of the 1000 minutes of calls available. But when I received network it worked well. We are sorry for the erratic performance of our SIM on your trip and thank you for your patience and kind words. We will certainly check why Data was unavailable on some days. As for phone numbers, we are unable to provide numbers in Germany due to local regulations. The countries in which local numbers are available are listed on the product page. One of the best.There was no problem in using this sim.Go buy this sim. The SIM worked wonderfully in all the countries I visited which included Hungary Croatia and slovenia where I was advised the cellular services are not so good. However there was an issue that when we were calling someone the number was showing unknown and the called party could not call back and at times the called party avoided accepting the call. The data package I had was for 250 MB per day on 3G. However the Data service worked perfectly but totally packed up the moment it reached exactly 2GB and there was no data service in the last few days of my tour. Whether 3G or 2G. Thank you for your review. We are sorry for the unknown number problem on your calls. We will investigate this further. Did a long road trip through Europe&USA and TSIM was indispensable. Worked almost everywhere, except briefly in Alsace when Data signal disappeared. Calls worked everywhere. Received local numbers in all countries (France, belgium, Netherlands, Austria, Switzerland & USA), but not in Germany. Local number were useful for table reservations etc. In USA used it in Chicago, Atlanta, Richmond and Washington. 250MB per day Data was enough except for a one day. Thank you for your review and recommendation. TSIM is a nice provider for travel to Europe. My experience was fine and I would recommend getting a TSIM before such travels. Although my sim did not start immediately on inserting. But once I received network it was great. Thank you for your kind words and recommendation. The SIM does take time to register, since it is a multi network card that chooses the best network to register to. I had taken the sim that would suffice a number of countries across Europe. the service was good. I only faced trouble in Prague with the data. My calls and sms worked fine, only data stopped working. However, professional from TSIM helped me through it. Thank you for pointing out the usefulness of this product when visiting multiple countries. We apologise once again for the trouble you had with your data. Worked perfectly fine in all the countries I needed. Received a local number as soon as I landed in the respective countries. Data worked fine too and was fast. The only problem was that, in the data settings instructions on the website it isn’t mentioned that after doing all the settings on your phone you need to switch on data roaming only then your internet works ( for iPhone 6). Took me a while to figure out but then internet worked fine. Thank you for your kind words and suggestion. We have forwarded it to our online team for action. Had good voice coverage all over. Did not have data coverage in Bratislava. Speed was good. I did not face any issues other than the data problem in Bratislava. We apologise for the trouble you had in Bratislava. Services taken for Russia and it was excellent. No complaints and the best part is that net inter connectivity with Black berry was also good. This is the second experience with TSIM with the earlier one being Morocco and its good. Thank you for your kind words and recommendation. Used it for a short trip to Spain. Got an SMS with my Spain number as soon as I reached Barcelona. Had coverage throughout my trip, however I did not travel beyond urban areas. Data was fast everywhere and I did not use beyond my daily quota on any day. My number showed up as ‘Unknown’ to everyone I called – out going Local calls in Luxemboug and India calls, and hence no one could call me back. Which means only outgoing calls were working, since no one could call me on an ‘Unknown’ number, I never had incoming calls. This was not rectified after repeated complaints. We apologise for the inconvenience caused. We have raised a complaint with the operator involved and are working to ensure it does not happen again. Answered by the admin	The primary UK number is mentioned on the SIM delivered to you. The temporary local numbers are allotted as soon as the SIM successfully registers on the network in the mentioned list of countries & the same is informed to the user by SMS. The SIM does not work in India. Hence its recommended to insert the SIM into the phone on reaching the destination. Answered by the admin	As per Fair Usage Policy (FUP), you will get 250 minutes minutes to India OR 250 incoming minutes OR 250 CUG minutes OR 125 local minutes OR a combination of above in 7 days. User will get Unlimited Data. High Speed Data for first 250MB per day; then unlimited at reduced speeds. We do have an express shipping option with delivery next business day. This would depend upon your Pin Code. You will be given the available options during the Order checkout process on the TSIM website. Yes..you can forward the calls to your India number to this number. Please confirm the charges for the same with your local mobile operator in India. Answered by the admin	Please use this link to instantly add credit to this card. Answered by the admin	The SIMs can be purchased for upto a couple of months in advance. Although we recommend users to buy the SIMs about 7-10 days before their travel. You should receive the local numbers for the for Czech Republic, Austria, Poland, Latvia,Lithuania, Estonia and Finland as soon as your TSIM SIM first registers on any of the available networks in these countries. Yes..the SIMs are Triple Cut & can be used as Regular, Micro or Nano. 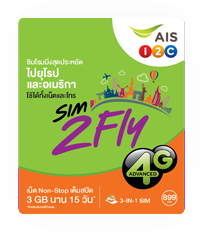 Answered by the admin	Currently the economy SIM Card works on 3G and the others work on 4G. 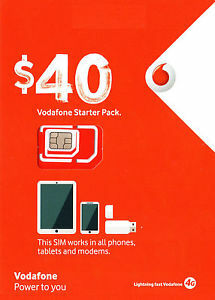 Please visit https://www.tsim.in/product/unlimited-global-data-sim/ & select the 14 day Unlimited Data plan. Yes! The Unlimited Europe SIM (Voice + Data) will have Unlimited Data (first 50MB/day @ 3G speeds, then at reduced speeds) for the duration of the validity selected. The SIM is normally delivered by courier within 2 business working days for most of the major destinations in India.